As a business owner or manager, you understand the importance of advertising. You also understand how much your budget can impact your marketing initiatives. 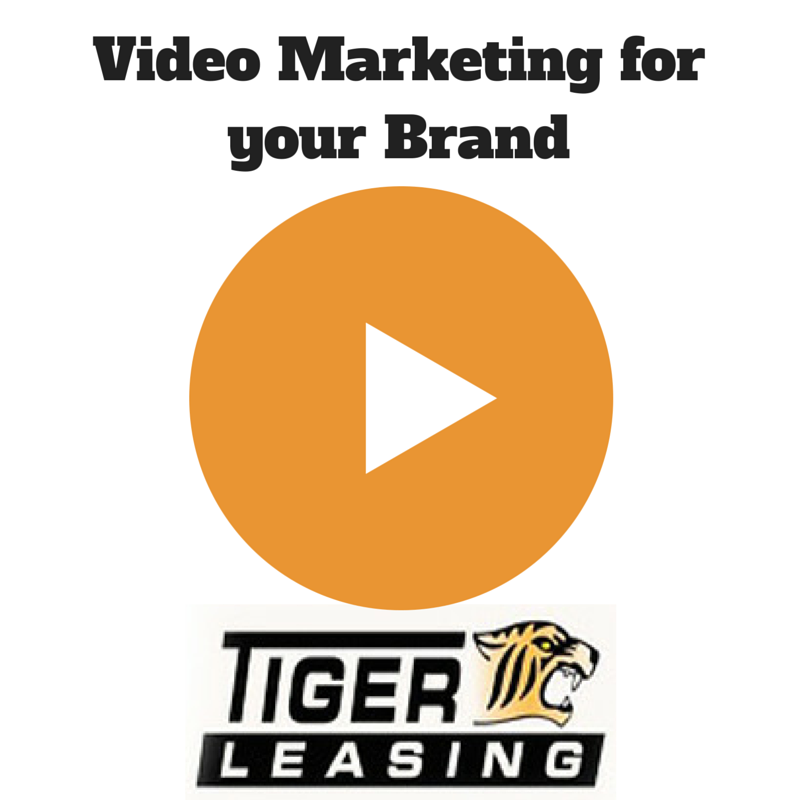 Video marketing is a popular, effective advertising tool that brands of all sizes can and should be taking advantage of. In the U.S, consumers are watching more online videos than ever before (38.2 billion videos in Q2 2014, which is an increase of 43% over 2013). According to a study by Social Media Examiner, this year, more than a third of marketers (35%) plan on increasing their use of short-form video services and nearly 3 in 4 plan on increasing their use of original videos. Another study reports that 86% of buyers expressed some level of desire to access interactive/visual content on demand. When it comes to video marketing, your customers want it and your competitors are doing it – what other motivation do you need? As you're getting started with video production and marketing, it's important to invest in the equipment and technology that will really work for your brand. Equipment leasing is a great alternative to purchasing video equipment as you get started. 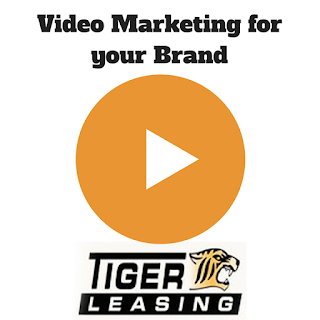 To learn more about your video equipment leasing options, contact Tiger Leasing and let our team help you create a custom package that works with your budget and marketing focus. As many business owners know, there are a number of costs that go into starting and maintaining your own company. One cost in particular, equipment financing, is crucial to just about any company’s success. Fortunately, there are a couple of options when it comes to financing this necessary equipment: leasing and loans. In reality, both methods of financing can be effective ways to get you the equipment you need for your business, but they both come with their advantages and disadvantages. 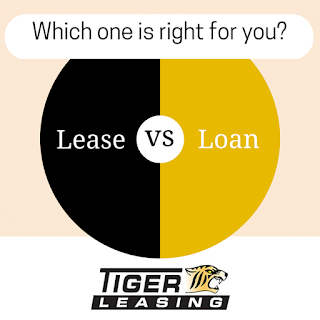 Below, the team at Tiger Leasing compared and contrasted the two financing options in order for you to make the best financing decision for your business. Through equipment leasing, businesses are able to obtain the equipment that they need without having to make a major down payment and pay low monthly payments over time. In addition, businesses that lease their equipment will have the opportunity to upgrade their existing equipment to their wants and needs. A loan is a chance for your company to invest in something, rather than just borrowing it. If your company has a firm cash flow and the strong financial stability to pay more up-front, then a loan might make the most sense. That being said, when you purchase equipment through a loan, that equipment is yours, even when it is outdated or obsolete. If the equipment that a company is financing through a loan becomes obsolete, they’re not going to be able to upgrade to newer, better technology. Instead, your company might have to deal with the existing equipment or replace it with another purchase. In addition, loans typically have a hefty up-front cost that many companies aren’t willing to give up. As you can see, the type of equipment financing that you choose ultimately depends on the needs and current state of your business. It’s important to note that all business owners should evaluate their unique wants and needs before making a major financing decision. Hopefully now you have a better understanding of the two financing options and can make a more educated decision for your company’s future. Contact Tiger Leasing today for more information on how an equipment lease can benefit your company! Personalized Medicine – What Does It Mean For Your Health Practice? There has been a shift in the medical world to focus on the idea of personalized medicine. This concept in medical care has been around for a few years, but the effects of this change are still being felt in the industry on a daily basis. So what does personalized medicine mean for health professionals today, and how can your medical practice evolve to follow suit? According to David C. Whitcomb, MD PhD, "personalized medicine is a new framework for medical care that involves modeling and simulation of a disease on the basis of underlying mechanisms." Essentially, this means that instead of waiting for a disease to present itself in a patient, and then treating the symptoms that follow, medical professionals are working to create health maintenance strategies based on a patient's unique genetic makeup. What are the Benefits of Personalized Medicine? Medical professionals are able to focus on preventing diseases and illnesses, rather than simply being able to react to them. By creating disease prevention strategies, doctors can prescribe more effective treatment plans, including the right drugs, therapies and lifestyle advice. The time, cost and failure rate of trial and error health care plans are greatly diminished. What Advances are Being Made? We are years away from seeing the full extent of how personalized medicine will change the medical field, there have been incredible advances in recent years. Genetic studies have produced incredible treatment advances for patients dealing with certain diseases such as breast cancer: Current applications of personalized medicine. Oncologists are working to create personalized cancer screening and treatment plans: What is Personalized Cancer Medicine? As a medical professional, there's no doubt that you are committed to providing the best and most current healthcare services and treatment options to your patients. Investing in your practice and education is of the utmost importance in keeping up with changing data and trends. When you're ready to upgrade your equipment and office space, equipment leasing offers valuable benefits and opportunities. 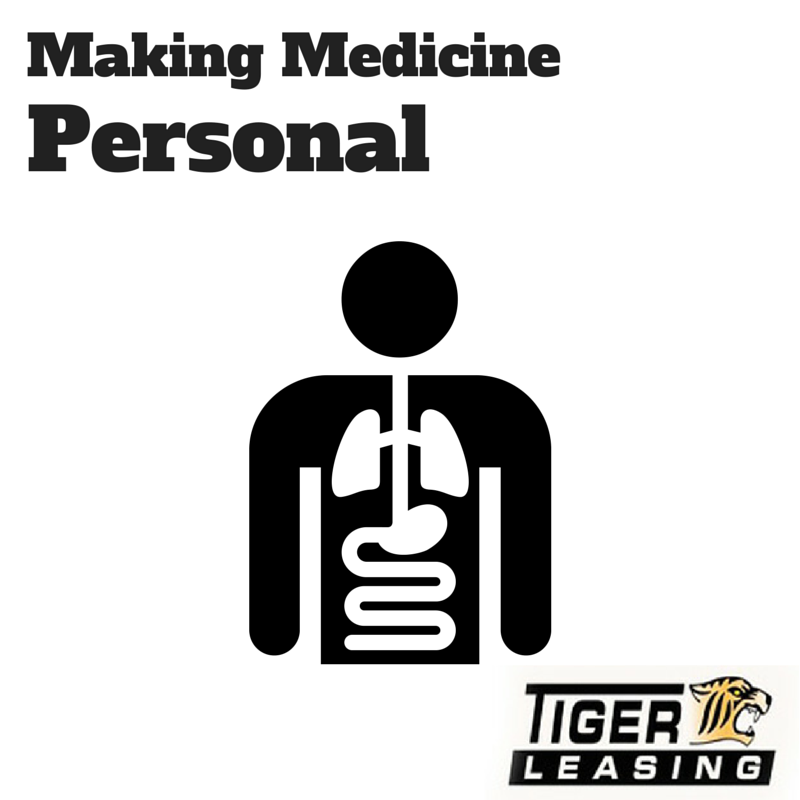 Learn more about our medical equipment leasing services and programs and contact Tiger Leasing today for more information.